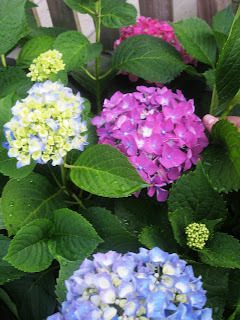 TIP GARDEN: Thrifty Gardening: How to Root Hydrangeas From a Cutting. 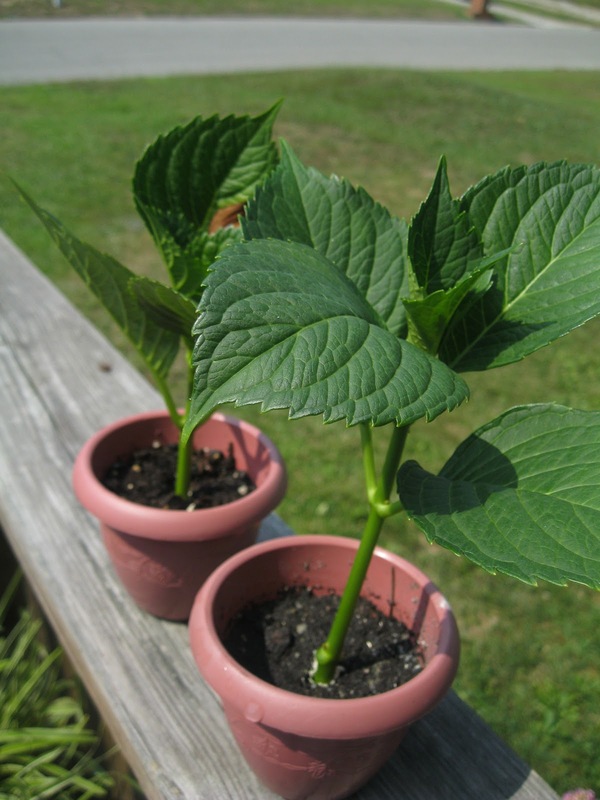 Thrifty Gardening: How to Root Hydrangeas From a Cutting. Hydrangeas are the epitome of a Southern summer yard. Usually you can find a small plant at a big box store for around $15.00. I'll show you how to root your own for relatively free. This same method can be used on many plants.Late summer is the perfect time to do this . Jan's tip: If you love hydrangeas,but don't have a plant to take a cutting from, then ask a neighbor! (or even a stranger!). A lot of people actually would not mind letting you take a few cuttings if you ask them. You'd be surprised at how generous gardeners are. Get over your shyness and ask! 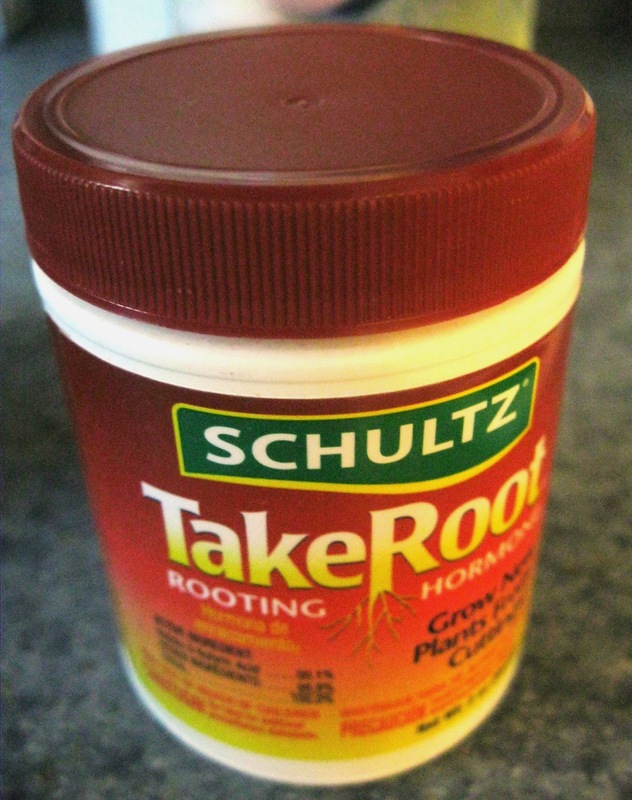 The only real cost is a $5.00 bottle of rooting powder. It will last you forever and can be found at Walmart or at any nursery, along with a few containers and some potting soil. I recycled some old pots, but even some yogurt or sour cream containers will work. 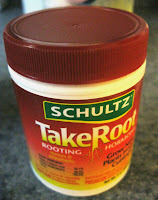 I just dug up some potting soil, from a container garden on my porch, so I only spent money on the rooting powder. 1) Cut a 6-inch tip in summer time. 2) Strip off the lowest pair of leaves on each cutting. 3) Wet the cut ends, and dip them into rooting powder. 4) Stick the cuttings into pots filled with moist potting soil. 5) Place them in the shade. Keep the soil moist. They should root in about 6-8 weeks. What a great idea! I never think to root plants like this and I'm thrilled to learn that it works with a hydrangea. Can't wait to try it! I am happy to jump over there. Am dashing out in the pouring rain for some errands, but will try to join your party today! I have a question. if you root the hydrangea in late summer do you plant it in the fall as soon as it has roots .I am in the north where winters are cold and snowy?